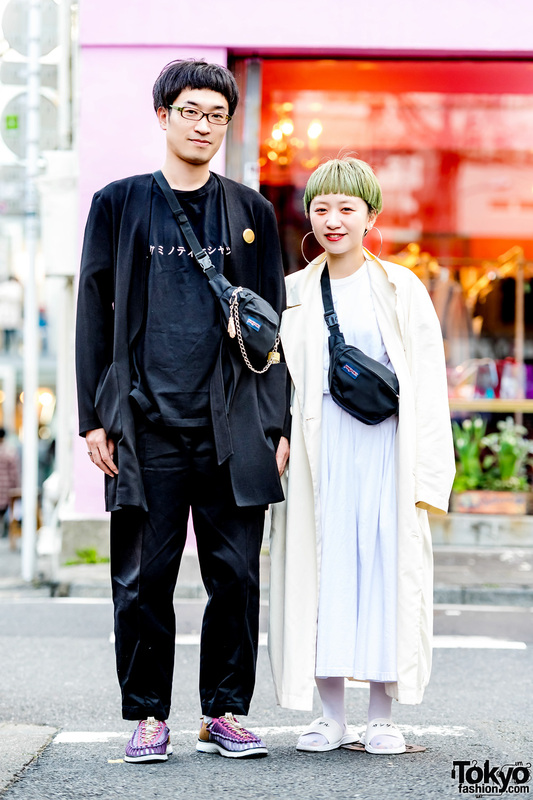 Harajuku teen sporting suspenders and a Walter Van Beirendonck top while out and about on the street. 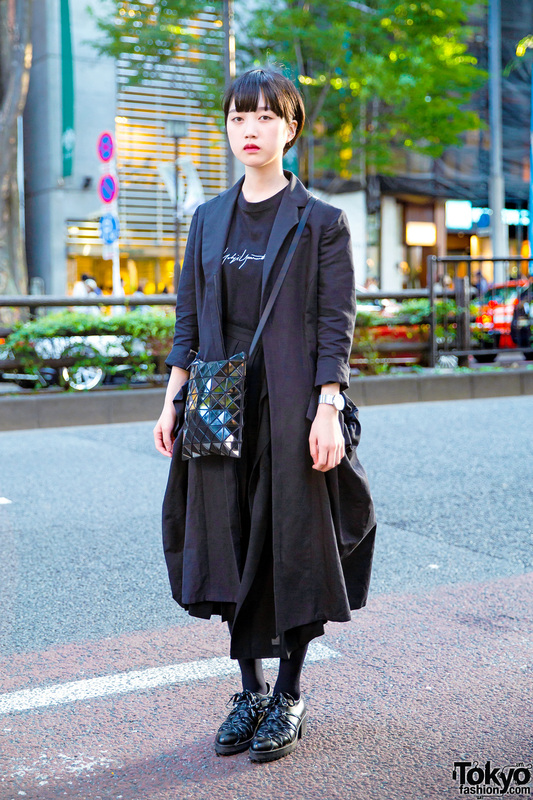 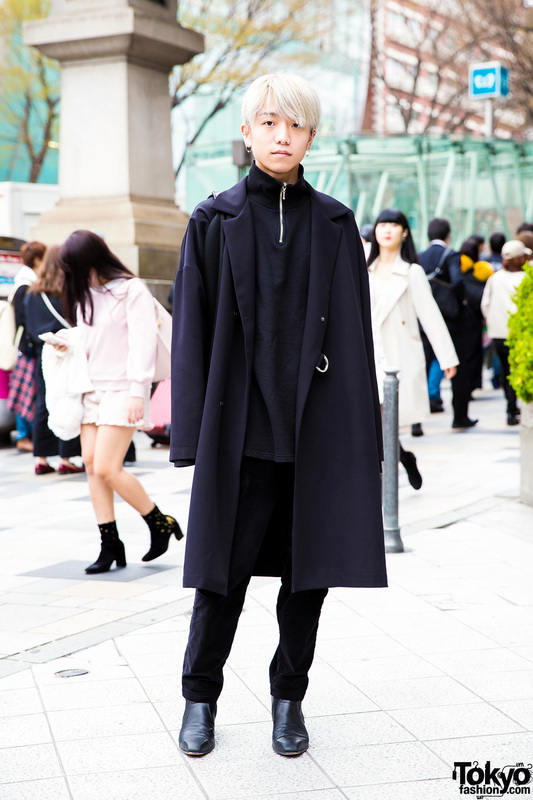 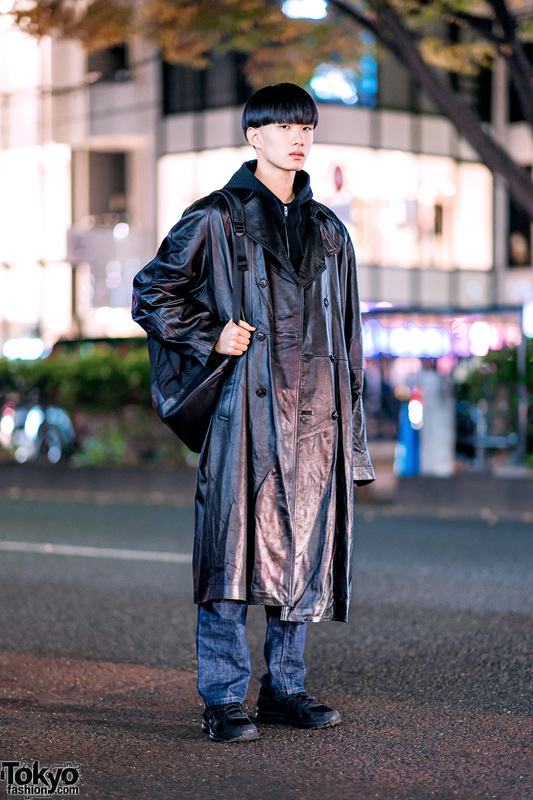 Beauty school student showcasing all-black street fashion in Harajuku. 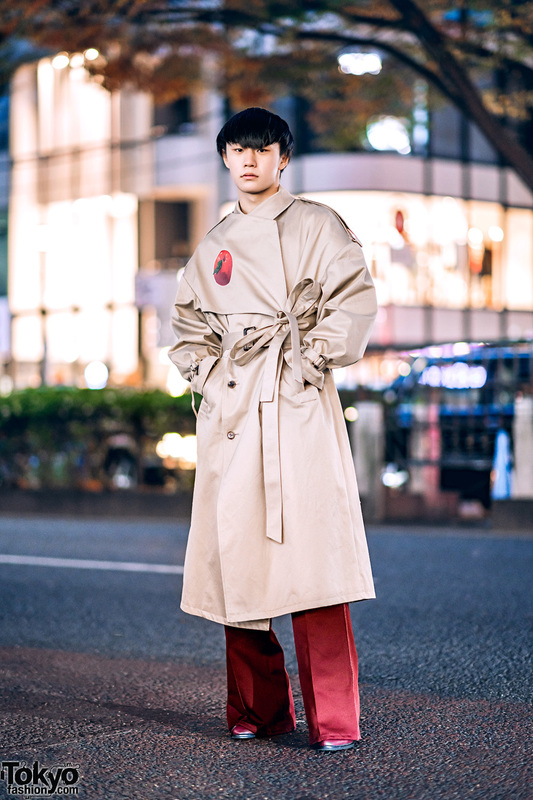 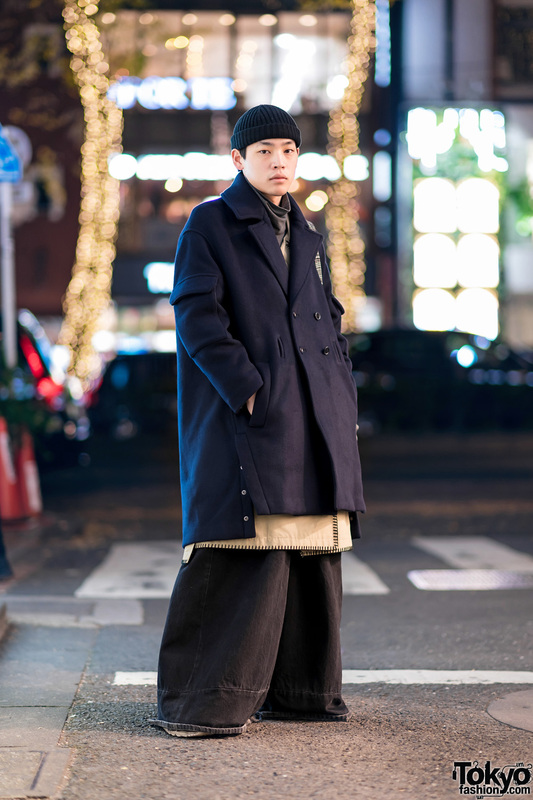 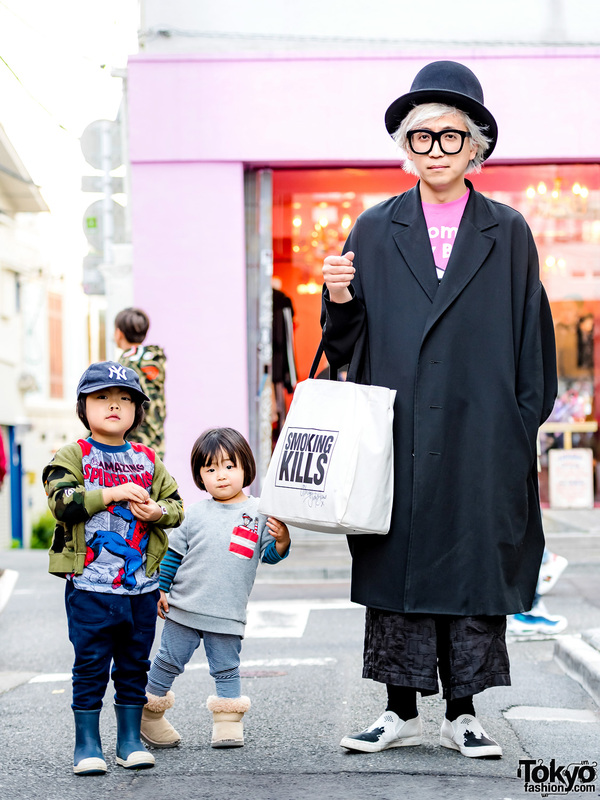 Japanese art director and cute kids in minimalist Japanese and British street fashion while out in Harajuku. 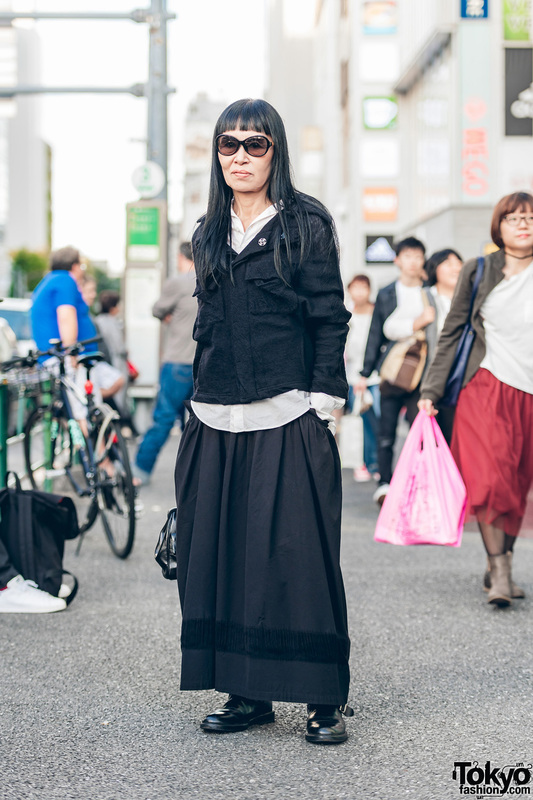 Black and white minimalist minimalist fashion with layered tops, maxi skirt, buckle boots and a black handbag.